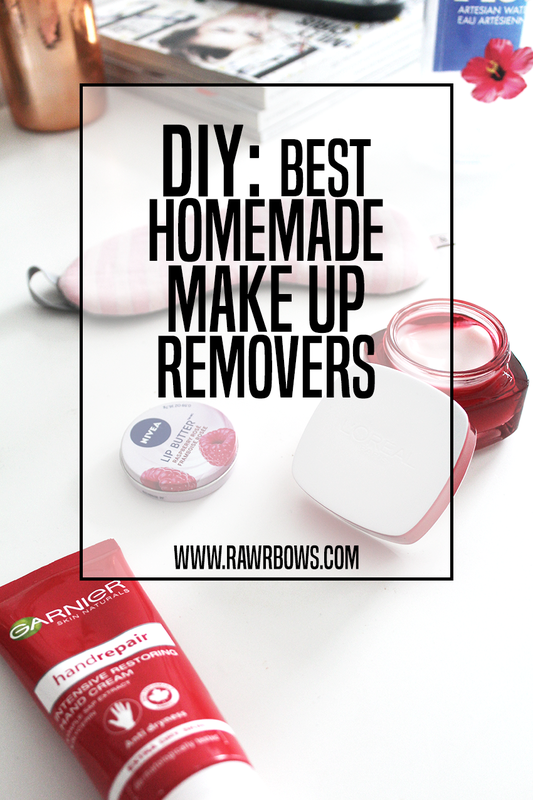 DIY: BEST HOMEMADE MAKE UP REMOVERS | RAWR BOWS. Today's post comes from the hand of Samantha Braddy, one of the authors at highstylife.com. She kindly offered to write a piece for my post which I happily accepted, her writing style is just beautiful. Hope you enjoy the post and let me know if you would love to see ore of her great work! Removing makeup at the end of the day is surely one of the most important steps in any woman’s makeup routine. However, many ladies are simply too tired to get it done, which can lead to some serious skin problems later on. In order to prevent that, just stay with us and learn how to pick a proper makeup remover and make one of your own. Why should I pick beauty products based on natural ingredients? Beauty products based on natural ingredients have multiple benefits. First of all, each of these is far less harmful than chemicals produced in any brand’s laboratory. Everyone knows that conventional makeup and skincare products often feature a wide range of potentially hazardous substances, such as parabens, phthalates, synthetic colors, mineral oil, and artificially added fragrances. All of these are likely to cause allergic reactions and even some more serious illnesses like cancer. On the other hand, natural ingredients come directly from the Mother Nature, which is exactly why they’re so fantastic for your skin. Many of them are used to slow down the process of aging, as well as to fight swelling and infections. One of these is witch hazel – it’s one of the most effective acne treatments that exist! Jojoba oil is also amazing, since it’s hypoallergenic and successfully removes bacteria from your face. On the other hand, olive oil is rich in vitamin E which allows it to calm irritation. Removing your makeup before going to bed is of the utmost importance, simply because any makeup residue on your face can lead to potential skin problems. 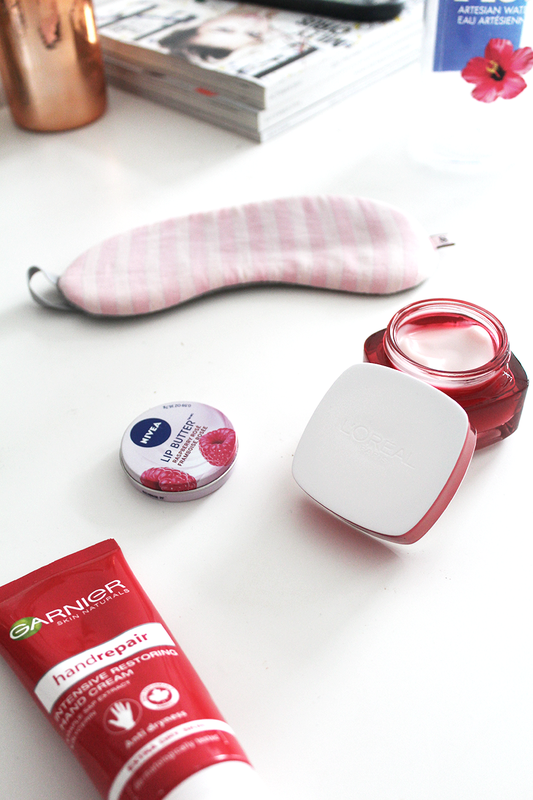 High-quality makeup removers have the most important role here, since these are the only ones that can help you get rid of everything you don’t need on your face before getting your beauty sleep. After removing makeup, you should cleanse your skin thoroughly in order to make sure that there’s no makeup residue left. Of course, there are many brands that have designed all-natural makeup removers free from toxic chemicals, and these are always a good choice. On the other hand, if that’s not good enough for you, there’s an option of making your own natural makeup remover. Here are some amazing recipes, so keep on reading! How can I make my own makeup remover? The first version of your DIY makeup remover requires only three ingredients – filtered water, almond oil, and tear-free baby shampoo. Almond oil is particularly great for the skin because it’s rich in vitamins A, B, and E, but the fact is that any skin-safe oil (coconut, olive) will do the trick. This oil also delays signs of aging and reduces the appearance of dark circles! What you should do is to mix equal parts of all these ingredients in a small bottle. Shake well before use, take a cotton pad, and voila – makeup is successfully removed from your face! The second version includes witch hazel, and the truth is that you can use it on its own to remove makeup. If that’s not your cup of tea, you can use it diluted 50:50 with water – just soak the cotton pad and remove makeup in circular motions! Aloe vera is another extremely beneficial ingredient which does a great job as a makeup remover. Take a small container and combine equal parts of aloe vera gel and raw honey. Add a couple of tablespoons of your oil of choice (jojoba is fine) to the mixture, and make sure to keep it in your fridge. Use a small scoop of your cleanser to remove makeup in the following way – just massage it into the skin, let it sit for one or two minutes, and then rinse off with cool water! As you can see, removing your makeup before bedtime is one of the most important steps in your makeup routine you mustn’t skip at any cost. Of course, there are all-natural removers designed by some prominent beauty brands, but if that’s not your thing – you can always make one of your own. Trust us, you won’t regret it!